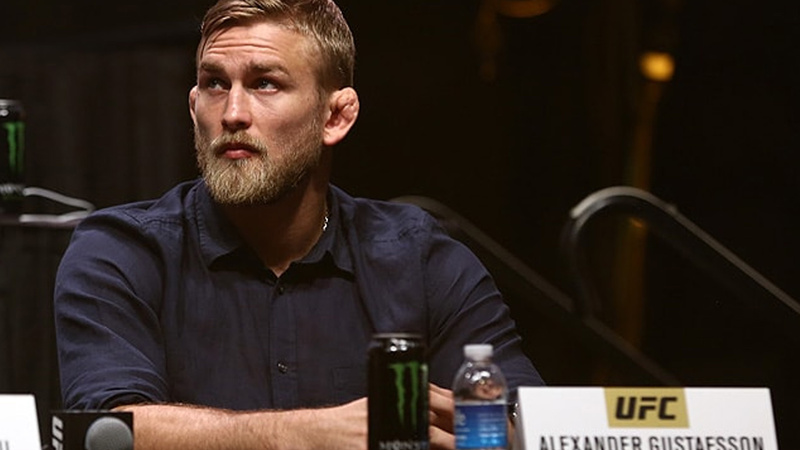 UFC light heavyweight contender Alexander Gustafsson was scheduled to face Volkan Oezdemir at UFC 227 on August 4, but Oezdemir forced out of the bout due to broken nose, now Gustafsson had been pulled out from UFC 227 due to a ‘minor injury’, and ‘The Mauler’ is ‘very frustrated’ as he wasn’t expecting the things to play in such a way. “All I can tell you is that I have been very frustrated these couple of days. It’s like it doesn’t go my way really. It’s just crazy, man, I don’t want to talk about my injury now,” stated Alex. “It’s just a minor injury, nothing to talk about really, it’s just a (expletive) thing. It gets on my nerves but it is what it is. I did all I could, everything in my power to bounce back and I will in a couple of weeks,” he added. ‘The Mauler’ said Athletic Commission decided to pull him out of the August 4th’s PPV, couple days before Anthony Smith’s call out. Gustafsson was in best shape for this card, and he’s so frustrated how things being played out. “It’s been frustrating, I don’t know what’s going on. It feels like don’t have any flow right now. I’m telling you it’s just (expletive) crazy right now, I am so frustrated. This is my card, this was my fight,” he said. ‘The Mauler’ said, he was ready to face anyone for replacement before the injury messed things up. Following his withdrawal, champion Daniel Cormier goes off on ‘delusion’ Gustafsson for pulling out of the card. Gustafsson said, it’s a minor injury and can’t wait to bounce back in a couple of weeks, hope Smith’s challenge still intact in coming weeks.